Three California men are facing serious drug charges in Columbus after police discovered more than four pounds of fentanyl in the trunk of their car. The men, who were reportedly staying at a hotel in the city at the time, had enough fentanyl in their possession to wipe out the entire population of Columbus. They have all been charged with aggravated trafficking and aggravated possession of an illegal drug. If they are convicted they will not only face serious time in prison, but will also be burdened with a criminal record for the rest of their lives. Despite the recent movement to decriminalize medical marijuana, Ohio has strict drug laws on the books. These laws prohibit possessing, selling, manufacturing, and trafficking illegal drugs in Ohio. Drug offenses are, many times, also a federal offense. This is particularly true for the crime of trafficking since the crime requires moving the illegal drugs from one place to another. State lines are often crossed during this crime, triggering federal criminal liability. In Ohio, it is a crime to “obtain, possess, or use” any controlled substances without lawful authority. Unless you are a doctor, pharmacist, or scientist who has permission and authority to use drugs, and do so within the scope of that authority, you are prohibited from possessing illegal drugs under Ohio Rev. Code Section 2925.11. The possession of drugs becomes aggravated when you obtain or have particularly dangerous or hazardous controlled substances. Fentanyl is one of these particularly dangerous substances. As a result, the consequences associated with the possession of these more serious drugs are harsher. Ohio’s legislature recently increased the penalties associated with possessing fentanyl. Fentanyl is responsible for more than 1,100 deaths in Ohio over the past two years. The drug, which is three times more potent than cyanide, can be used on its own or cut into other drugs like heroin. Aggravated possession of a drug like fentanyl is, at the very least, a Fifth Degree Felony offense. In some cases, including the fentanyl case discussed here, the charge for aggravated possession can be a First Degree Felony. A First Degree Felony is punishable by three to ten years in prison and fines of up to $20,000. Drug trafficking refers to the “sale, offer to sell, shipment, transportation, distribution or delivery” of a drug. This crime essentially covers any movement of a drug. The California men who were arrested for possession of fentanyl had nearly four-and-a-half pounds of the drug in the trunk of their car. Their arrest for trafficking is likely based on the assumption that they transported the drugs by driving the car with the fentanyl inside. Aggravated drug trafficking, as defined in Ohio Rev. Code Section 2925.03(C)(1), occurs when the trafficked drugs are particularly harmful or dangerous. Generally, these drugs are classified as Schedule I, Schedule II, or are a chemical compound or mixture. Fentanyl qualifies for criminal charges of aggravated drug trafficking. Violation(s) of your Constitutional rights. The men who were recently arrested in Columbus were not in actual possession the fentanyl. Instead, the men were arrested for their constructive possession of the drug. Any of these men may argue that they weren’t aware that the drugs were in the trunk or that the car in question is not theirs. These arguments will be considered in light of all other relevant evidence. Are you facing criminal charges for a drug-related crime in Columbus? 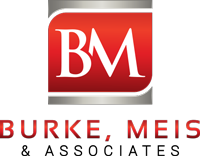 Contact the Columbus criminal defense attorneys at Burke, Meis, and Associates today for immediate assistance. We will review your case, determine possible defenses, and explain your legal rights. The prosecution will act quickly to convict you of a drug-related crime, so it is critical to call us as soon as you can.